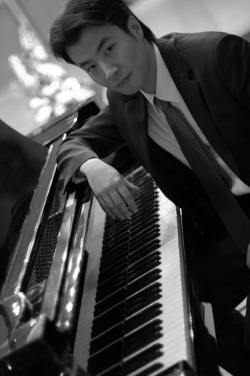 Born in Seoul, Korea, award winning composer Jay Kim (aka Jang-woo Kim), began his musical training at the age of 9. He studied Composition, Orchestration, and Music Theory at University. While working over 7 years as a composer for TV dramas, films, and commercials He gained his experiences by working on more than 200 episodes of dramatic television, radio, commercials, and movies. Currently living in Los Angeles, California, he was pursuing his passion for film music studying at the University of Southern California (USC), where some of the alumni includes Academy Award winning composers such as James Horner, Jerry Goldsmith, Marco Beltrami and James Newton Howard. At USC, he was enrolled in the graduate program for scoring for films and TV under well noted composers such as Jack Smalley, Christopher Young and James Newton Howard. Jay has won the Jury Choice Gold Medal for Excellence for Best Impact of Music in a Feature Film of 2010 Park City Film Music Festival. As the co-founder of Musicians Association of Asia and America, Jay has been working earnestly to carry out cultural exchange between Asia and America. For the efficient exchange, Jay is doing his utmost to protect the rights of American Musicians who are actively working around the world.